Damon Pavlatos has 37 years of multi-faceted Commodity Futures industry experience. Since 1978 he has held Exchange Memberships on the CME, CBOT and Mid America Exchange. He has traded Futures and Options for 32 years specializing in Stock Index Futures. From 1981 to 2000, Damon managed the CME Index and Floor operations for Shearson American Express, L.I.T. America, Gerald Inc., and Rand Financial. 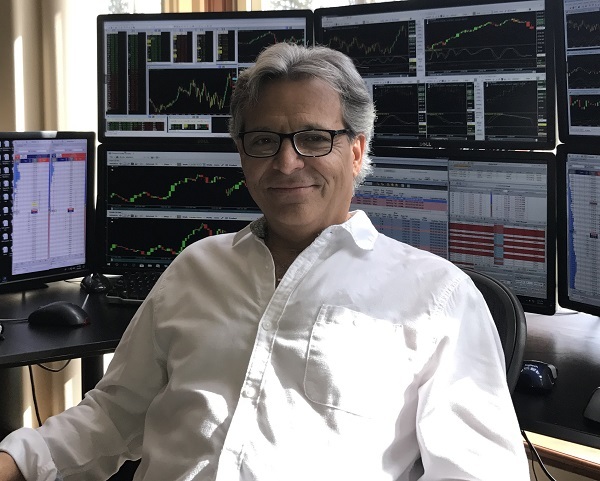 During his many years in the industry, Damon has supplied Technical Market Analysis for various Index Funds, Institutions, and Exchange Members and has been featured at Tradeshows, Futures Seminars and in various trading books. In 2000, Damon became a Principal Partner of FuturePath Trading LLC® and PhotonTrader®. FuturePath Trading LLC (FPT) is an IIB in the Futures and Forex industry. FuturePath is a Technology driven Futures brokerage firm that currently owns an electronic software Trading Platform called PhotonTrader. In 2010, Damon joined TD Ameritrade as the Managing Director of Futures to assist in technology innovations with the TOS platform. Damon returned to his roots in 2012 and is currently is the CEO and Principal Partner with FuturePath Trading LLC and PhotonTrader. I started my career in 1977 in the futures industry and began trading for myself in 1979 as an exchange member. During my time from the beginning to the present, I have managed operations for some of the top futures clearing firms, executed for large hedge and institutional funds. I also traded as a CME member for my own account and started my own trading firm 15 years ago. I had the privilege to work with and for some of the most successful traders who mentored me and taught me what I know today. The skills I learned from executing the large orders for some of the top funds helped me fine tune my own execution skills as a trader. I learned that using the proper trading platforms and trading systems is half the battle to becoming a better trader. Whether you execute on the floor of the exchange or electronically, there are similarities when it comes to timing your entry and exits. Having good order execution skills is a major part becoming an exceptional trader. I want to share my knowledge and experience of mastering the art of execution. Most traders concentrate on saving on their commissions and platform fees. I found years ago how important it is not only to have the best trading tools and low commissions but to learn good order execution skills. If you can save 1 tick in using good execution techniques in any market every other trade, this will add up to thousands come year-end. Program 1: If you are fine with an overall group class and don’t mind a group webinar you may choose program 1. It may be enough to receive a few more tips on your execution and some answers to your execution questions. Program 2: This is a more targeted program since it is unique to your needs and execution method. The 2 sessions will be private, one-on-one sessions to assure a more tailored trading methodology when you execute your trades. These programs are currently not being offered. Please check back soon!